Show your enduring love with this stunning pink-hued wreath. 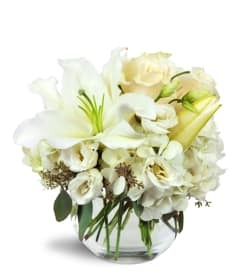 Delicate and graceful, it's a perfect way to honor the memory of a loved one. 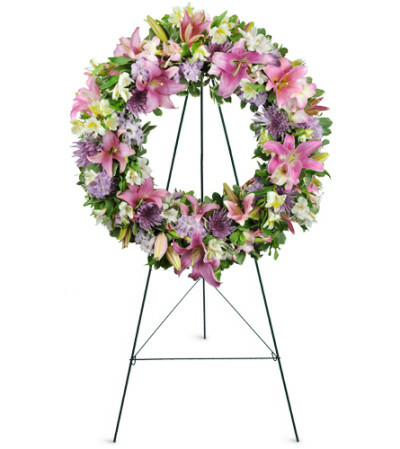 Lilies, mums, larkspur, and more are gracefully arranged in a wreath display. 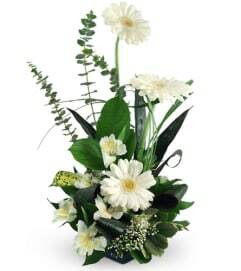 This arrangement is appropriate to send to the funeral home or service. We chose the "special of the day" flowers - and wow, they were beauuuuutiful! 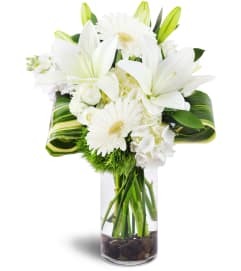 The delivery process was perfect - and our daughter was surprised - and thrilled! Thank you!